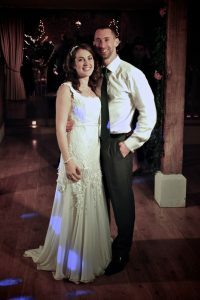 Congratulations Lisa and David – we had a fantastic time playing for you and your guests – so full of energy, up for all the styles of music we threw at them. Have a great honeymoon! 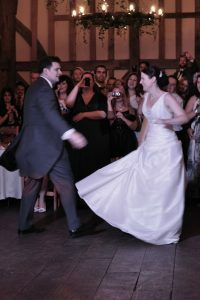 Lara and Richard’s first dance at Gate Street Barn. Thanks for looking after us – super kind to give us all bottles of wine at the end!!! Great gig – lovely couple. Great venue – a church!!!! Jemima and Andrew’s Wedding, Bentley, 23rd July 2011. Great gig in Bentley – 3 marquees, stunning gardens, great food (we had oysters and roast beef!!!!) Very up for it crowd – still partying as we left.